As youth sports psychology experts, we often work very closely with parents and coaches when we provide mental coaching for young athletes. Parents and coaches who are knowledgeable about "mental game" challenges and strategies are better equipped to instill confidence in their young athletes. 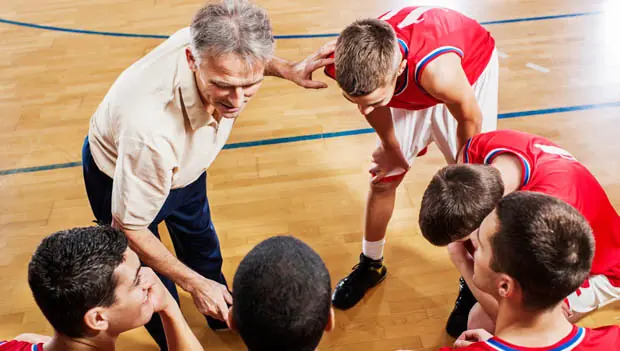 If you are a sports parent or coach, you'll want to learn how to improve your athletes' mental game so they can get the most out of their skills in competition. Here's just one example of how coaches and parents can improve athletes' mental toughness using proven mental game strategies. You might not know that coaches' and parents' high expectations for their kids can cause kids to feel pressured. Parents and coaches sometimes impose their own expectations on their kids, with the intended goal of boosting kids' confidence. But often, this has the opposite effect. When working with softball and baseball parents, for example, we help parents and athletes understand that strict expectations—parents' demands about how their kids should perform—actually hurt kids' performance. Athletes who have high levels of self-confidence end up in the winner's circle. You want your athletes to feel fully confident at game time. That means you need to keep your expectations in check. Parents' and coaches' overly high expectations can cause athletes to focus too much on the results. This often makes them feel frustrated, especially when they are not performing up to their (and your) standards. Here's how it works: Parents and coaches, in their sincere efforts to be supportive, often say things that kids interpret as expectations. For example, a softball parent, with good intentions, might say to an athlete, "You should go 4-for-4 at the plate against this pitcher today." At first, you might think this sounds supportive. It's what parents should say to improve athletes' confidence, right? Wrong. Many athletes do not interpret such well-meaning input this way. In fact, we have found that young players interpret such statements in surprising ways. Some athletes might think they need to be perfect at the plate and get a hit every time at-bat, and if they don't they are letting down the parent or the coach. You might think this sounds like a stretch, but this is how the minds of young athletes work. Kids internalize or adopt your high expectations, then become overly concerned or worried about getting a hit every time at-bat out of the fear of letting others down. Be careful about the expectations you communicate to your young athletes. We suggest you instead focus on more manageable goals or objectives that help kids focus on the process. For example, you might ask softball players to see the ball early when at-bat or let go of mistakes quickly. Your players can accomplish these important objectives more often than getting a hit every time at bat. If you as coaches or parents want to help your young athletes achieve their full potential in sports and reap the many benefits, be sure to acquaint yourself with these and many other mental game strategies to improve success. Find activities for kids near you. Award-winning parenting writer Lisa Cohn and Youth Sports Psychology expert Dr. Patrick Cohn are co-founders of The Ultimate Sports Parent. Pick up their free e-book, "Ten Tips to Improve Confidence and Success in Young Athletes."